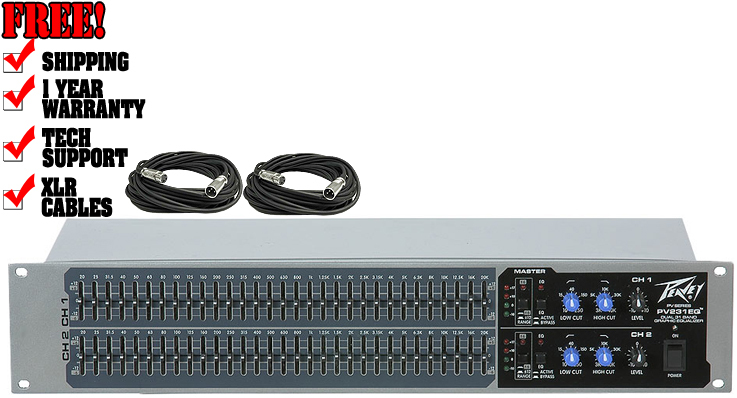 The PV® 231EQ dual 31-band 2/3 octave graphic EQ brings quality features and low pricing together. Select between 6 dB or 12 dB cut or boost over frequencies ranging from 20 Hz to 20 kHz. Low cut filter switch with status LED helps remove rumble from open mics while the bypass switch with LED indicator is convenient for sound checks.